There are quite a few different types of pleats, The Mortmain dress pattern has box pleats which can easily be reversed for a different look. Box pleats are formed when two equal folds of fabric are folded towards each other on the reverse of the fabric. 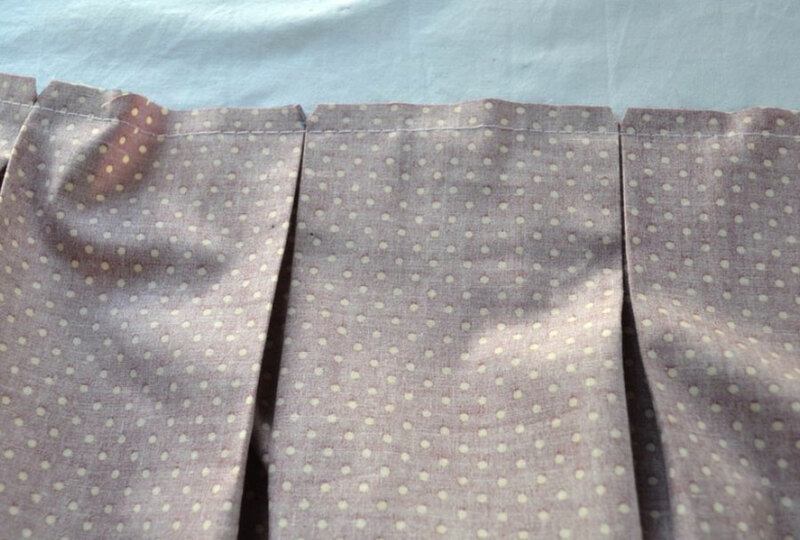 They are brought together to meet in the middle, forming a box pleat on the front of the fabric. The key to forming nice neat pleats is being really precise when it comes to marking notches and pressing carefully as you go. The instructions below should help you make the pleats on your Mortmain dress lovely and satisfyingly crisp! I’ve transferred all the notches to my fabric. If you’re a beginner sewer then you might want to add in the arrows as well so you know exactly which pleat goes where and which direction you’re folding towards. 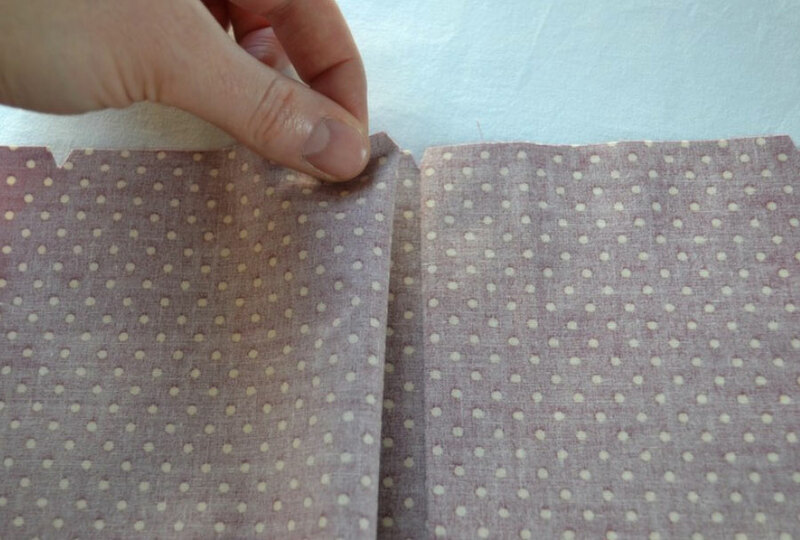 Working on the reverse side, begin by carefully folding one side over, bringing the side notch to meet the centre notch. I always like to press as I go and then pin in place. Bring the other side over to meet it, aligning the notches. The box pleats on the Mortmain dress are designed to only be pressed at the top of the fabric and left to fall softly. How far down the skirt you press them is entirely up to you but I would suggest around 2-3 inches down from the top of the skirt. 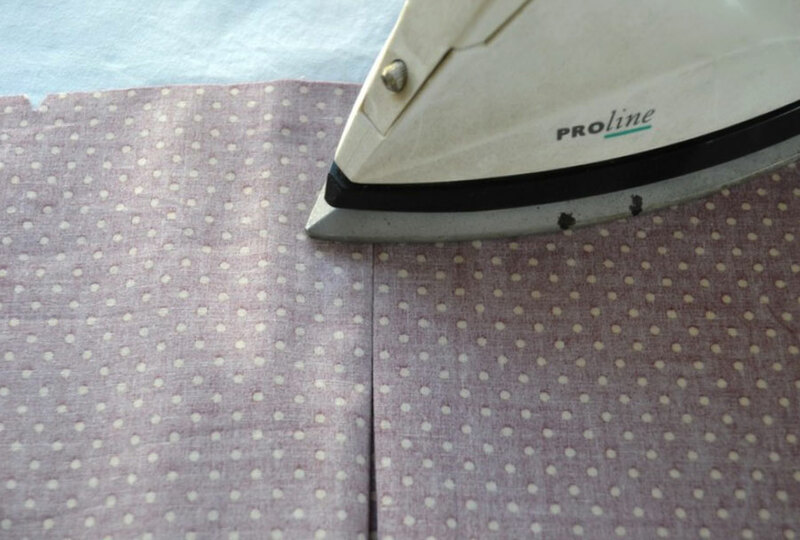 Once you’ve pressed and pinned all the pleats into place, you can baste it either by hand or with your sewing machine set to the longest stitch. When you’re finished you should have nice neat box pleats on the front of your fabric! 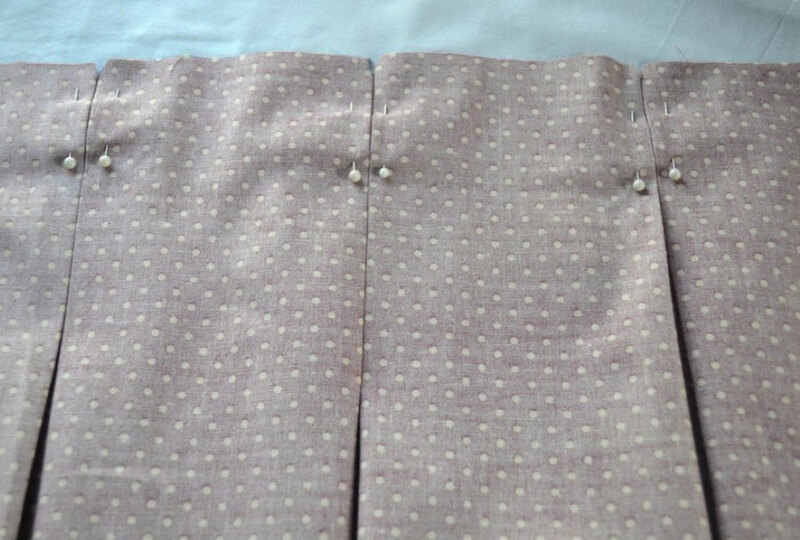 When you’ve basted along the whole width of the skirt you can attach it to your waistband as usual and remove the basting stitches when you’re finished. (This step is completely optional, however I find it much easier to get clean, even pleats when they’ve been basted first). Reverse pleats couldn’t be simpler simply do exactly as you would for box pleats but on the front of the fabric! Try out your box pleat skills on The Mortmain!